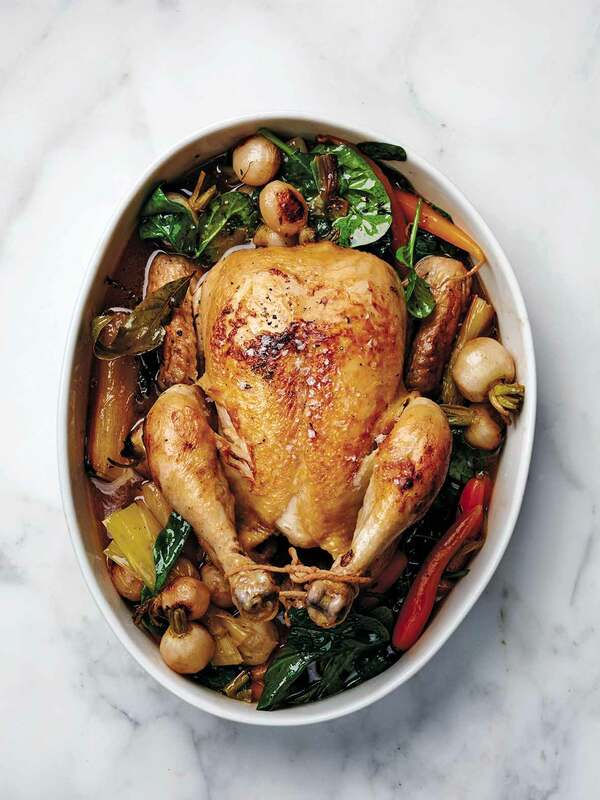 This chicken in a pot is like an easy French pot au feu made with a whole chicken and vegetables, such as carrots, leeks, and turnips. A healthy and quick soup. Some people like things simple and subtle so they are able to discern the pristine flavors of each ingredient. Other people crave hot sauce on everything so as to ramp up the decibel level. If you’re the latter sort, you’re going to want to impart some additional flavor to this lovely but nuanced chicken in a pot recipe. Try any of the following and let us know how it goes. Grind copious amounts of black pepper on just before serving. 1. Bring a large pot of salted water to a boil. Add the barley and cook until chewy yet tender, 40 to 50 minutes. Drain the barley, discarding the cooking water or reserving it for watering your garden. 3. Remove the chicken from the pot and let it cool slightly. Meanwhile, gently spoon the vegetables into a large shallow serving dish. Skim any foam or fat from the cooking liquid and strain it through a fine-mesh sieve lined with cheesecloth or paper towels. Stir the barley into the liquid and season with salt and pepper. Carve the chicken, cutting the breast into wide slices, deboning the thighs, and cutting each thigh into two pieces, reserving the wings and drumsticks for another use. 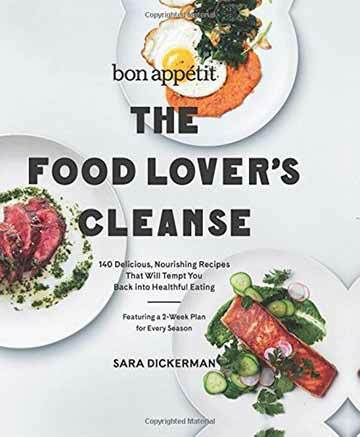 (Alternatively, for chicken that’s easier to eat, if desired, remove and discard the skin and bones from the chicken and shred the meat.) Place a handful of spinach in each bowl, then spoon in the chicken, vegetables, and stock. Serve topped with chives. Chicken in a Pot Recipe © 2015 Sara Dickerman. Photo © 2015 Michael Graydon | Nikole Herriott. All rights reserved. All recipes and photos used with permission of the publisher.